Peppe Giannuzzi Joins Roster of Rockers And Other Animals! 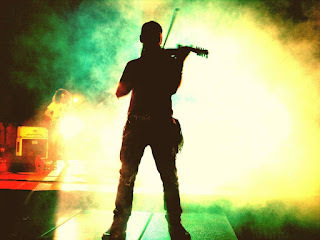 Rockers And Other Animals gives a warm welcome to the violinist Peppe Giannuzzi in its promotion roster! Peppe Giannuzzi has recently released in digital version his latest album "Heavy Adrenaline" containing ten original tracks, the track #10 "CHIOVE" is a poem by Maestro Gianni De Santis, recited by his brother Rocco De Santis. In the other 9 tracks you always remain in rock sounds, sometimes sweeter, sometimes more aggressive, sounds that change in the same song in some cases. the passion for rock guitarists, especially Joe Satriani, leads me to use my instrument, the violin, as if it were an electric guitar, taking out atypical sounds and phrases for the instrument and very pleasing to those who listen to a certain type of music, exploring sounds and genres ranging from classic rock to Irish rock to word music.